De Groot Global Logistics has equipped its fleet with Trimble’s CarCube on-board computer. The refrigerated transport specialist has also installed Tachotime Manager, Trimble's tachograph data storage solution. The upgrade for its fleet of 28 trucks was completed in just three days. 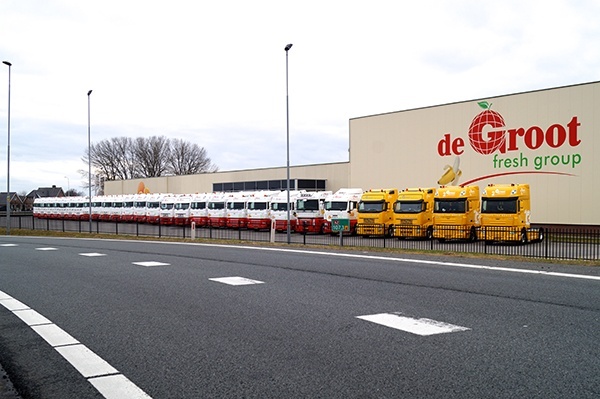 De Groot Global Logistics is part of De Groot Fresh Group, a trading company that supplies fruit and vegetables to some of Europe's largest retailers. The logistics business of De Groot not only provides services to its parent company but also to external companies. Every day, De Groot’s trucks complete several trips within a 300-kilometre radius of their Hedel headquarters in the Netherlands. "We also supply retailers further away in Europe but we outsource these trips to reliable partners," said fleet manager Rob Vissers. De Groot Global Logistics has used older on-board computers for the remote supervision and performance monitoring of its drivers. But this hardware reached its end of life and was increasingly susceptibile to interference. 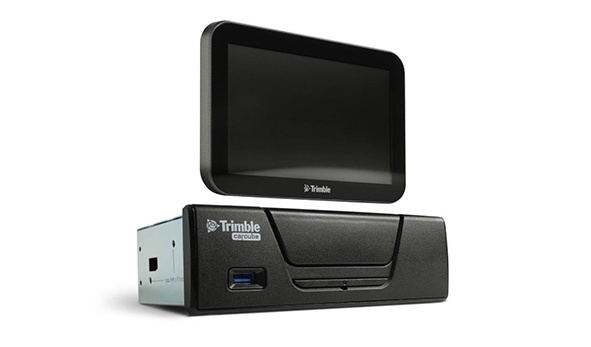 The search for new hardware led to Trimble. "Trimble’s CarCube offered the best price-quality ratio. An additional advantage is that the new on-board computer is compatible with our payroll system, Transportview, and our new Transport Management System (TMS). That makes integration easier," explained Vissers. With the CarCube, De Groot Global Logistics can leverage a modern on-board computer that is extremely user-friendly. In addition, the new hardware and accompanying telematics software provide increased functionality. "Unlike with the previous on-board computer, we can now see exactly how much time a driver is still allowed to drive and when they need to rest. The GPS function is also more accurate and messaging with the drivers is faster than before." The decision to switch to Trimble was influenced by two factors: the extensive portfolio of transport solutions and the company’s expertise as a telematics specialist. An example is Trimble’s Tachotime Manager. Tacho data is read automatically and remotely via the on-board computer. This data is then organized and stored in the Tachotime Manager, making it available at all times in a legally recognized framework for inspection. "We only have to check once a week whether the data of all trucks and drivers have been registered. With our data being available more quickly and analysed more easily, we’re better prepared to meet the driving and rest times legislation," said Vissers. "Another example is the FleetXPS app. The app allows us to monitor journeys that we’ve outsourced to partners and charters and gives us the same insight into their vehicles as the CarCube does into our own vehicles." Thanks to advanced planning and preparation both by Trimble and De Groot Global Logistics, deploying the new on-board computers was carried out without any issues and within only three days. 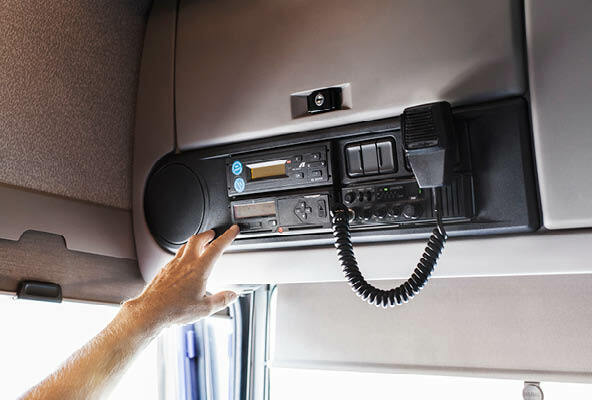 Explaining why his company required such a quick installation: "Installing new telematics can lead to data loss and we wanted to limit this risk to three days,” said Vissers. “Trimble is a company with a flat organisation and this makes it easier to collaborate. They were able to complete the upgrade for us in such a short amount of time." De Groot Global Logistics is an independent transport company that specialises in transporting fresh products under temperature-controlled conditions. With a modern fleet of trucks and trailers, De Groot Global Logistics transports the products of its customers to their destination quickly, reliably and at the right temperature. De Groot Global Logistics was established in 1997 and is part of De Groot Fresh Group. The logistics service provider is IFS Logistics certified, works according to the NEN-EN-ISO 9001: 2000 quality system and has received the Lean and Green Star. For more information, visit: www.globaltransport.nl.